2 days and counting… until the new 2011 Spring/Summer lia sophia catalog is available! Bling lovers – you know who you are – this is your section. In the words of How to Lose a Guy in 10 Days, frost yourself in something a bit less expensive than diamonds but sure to make you sparkle none the less. This picture does not do this bracelet justice. 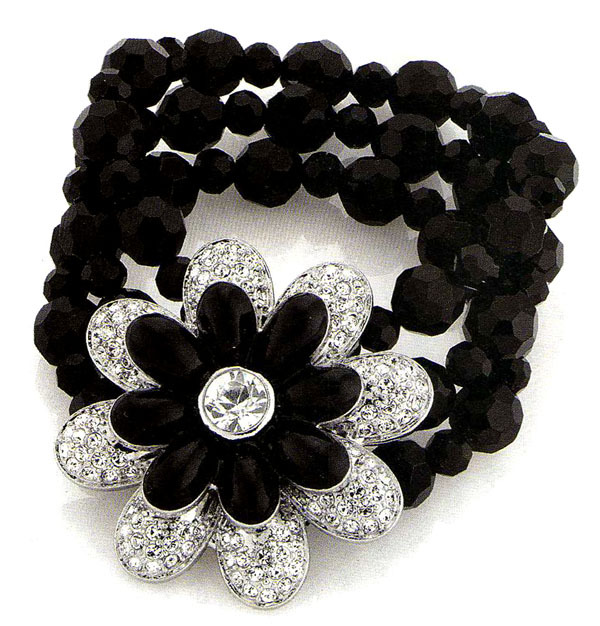 The black glass beads of this stretch bracelet set off an enamel and crystal flower sure to garner the oohs and aahs of your friends. While there is perhaps not quite as much sparkle as Glitterati (which has a hematite companion arriving), this necklace is elegantly modern and sophisticated with it’s interwoven hematite chains intermixed with faceted glass and resin beads. Simple. Sleek. Sparkly. 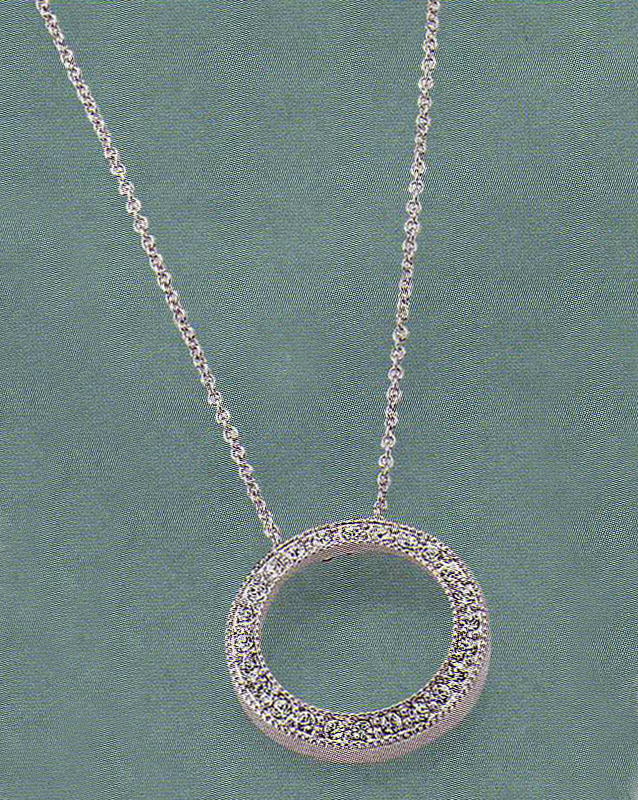 This circular pendant necklace of cut crystals is a piece that can carry you from day tonight with ease and class.